You can add the ability for learners to participate in instant hangouts directly from your course. Interact through live video and voice. Share screens and watch videos together. For a full list of instant hangout features, see the Google Hangouts page. Learners who want to participate in instant hangouts must have a Google account. You should note this in your course materials. If you are running an Open edX site, you must ensure that Google whitelists the site’s domain as a referer for Google Hangouts to work. You can add one or more instant hangouts in your course. For example, you can add an instant hangout in the following places. In a page, to provide learners with a hangout for the entire course. See Adding Pages to a Course for more information. In an HTML component, to provide a hangout for learners working on that specific course unit. See Working with HTML Components for more information about creating HTML components. An instant hangout is specific to the page it is opened from. For example, learners who join a hangout from one course unit interact among themselves, while learners who join a hangout from another unit interact in a different hangout. When you add the instant hangout to your course, a control for the hangout appears on that page. The following example shows the control in a course unit. The control shows that the learner can start the hangout and be the first participant. The following example shows the control in a page when a hangout has already started. The control has a Join the Hangout button, and shows that one other learner is already in the hangout. To join the hangout, the learner selects Join the Hangout. 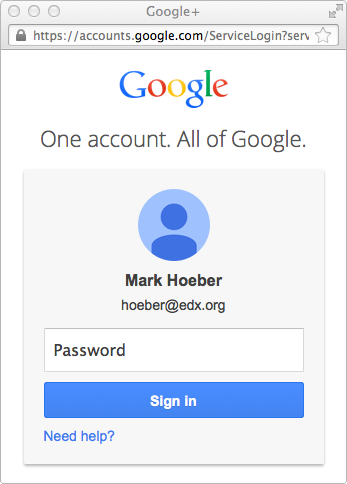 Learners who do not have a Google account can create one from the login page. 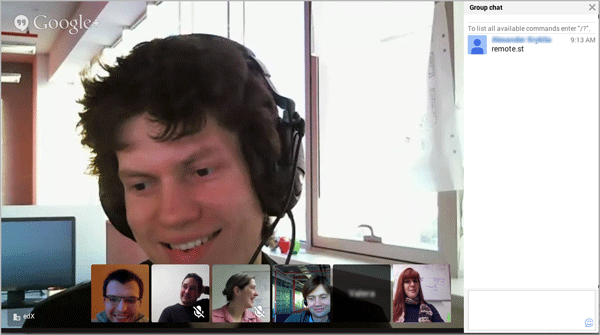 Currently, only ten learners can join a single instant hangout. You should note this in your course materials. Learners in hangouts that are started from different pages in your course are counted separately. So you can have ten learners participating in a hangout started from one unit, and ten other learners in a hangout started from a different unit. To create an instant hangout in your course, follow these steps. In either a page or an HTML component, open the HTML editor. After the <script> tag, add this tag. Add any additional text and tags that you want. For example, the complete content could look like this example. Test the instant hangout in your course.